How do you join Team NSO? Our Non-Skating Officials, referred to more commonly as NSOs are another vital part of our league and our sport. 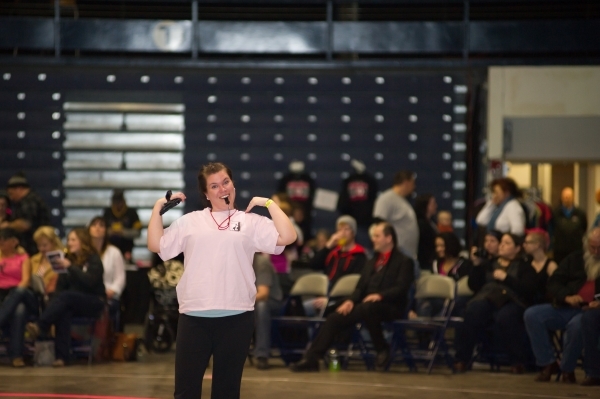 We couldn’t host or skate in bouts without them! 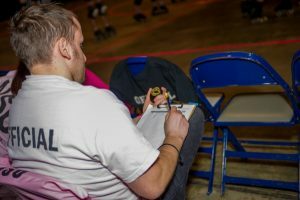 NSOs fill a variety of roles, including working the penalty box, keeping score, and starting each jam as well as keeping a large number of stats for each game such as line up tracking and penalty tracking. They tend to hide out in the background, but know our sport couldn’t function without them!!! Our NSOs are trained at practice during scrimmages or pack work drills under the guidance of current NSOs and the league Head NSO. They first receive instruction on their position and then at practices they can hone their NSO skills. Some NSOs only train to do one position, some may be trained in multiple positions. 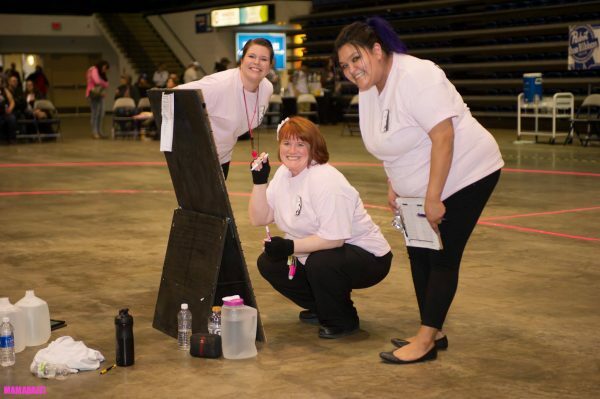 Our NSOs often cite the camaraderie of our derby family as the reason they joined and keep officiating with us. It’s a great way to stay involved with what’s happening on the track, without skating. If you have any questions or you’d like to get involved, email our Head NSO! Thinking you’d like to get involved, but maybe a Non-Skating Official isn’t for you? 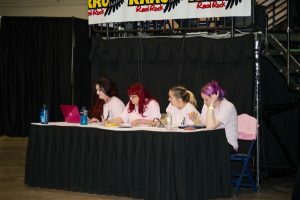 Check out our information pages on becoming a Doll Starz Skater, Skating Official, or a Dollunteer! We are always recruiting for a variety of roles in our league! !